Every business in the food industry uses freezers. 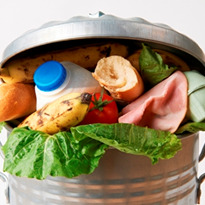 The cooler environment controls the quality of the food, shelf life and it's freshness. All of these things have an impact on the success of the business. Health codes mandate foods, that will not be consumed or sold right away, to be frozen. Otherwise, the food would spoil faster because lower temperatures slow down the reproduction of bacteria. These days purchasing any kind of product is very easy due to advanced technology. 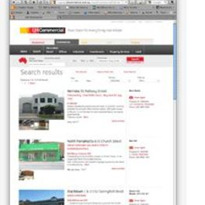 Before buying anything we can get information from a different source like the internet. These days brands are a very important factor because people are brand conscious. 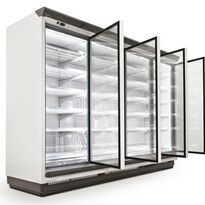 Before buying a Commercial Glass Door Freezer some important points should be considered. List out your specification and also keep in mind your budget to buy a product. 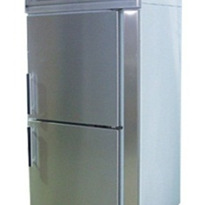 The owner should be considering freezer shape and size according to product requirement. It should be less in weight and can move easily. Commercial Freezers are used to keep the food fresh and preserve it from spoil. So, concentrate on the brand specification and also considered its warranty. Warranty is much important because you can claim on the company in any case of losing. 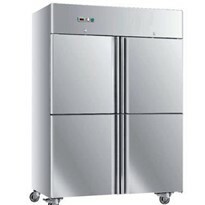 The commercial refrigerator is playing a very important role in the business food industry, it is necessary for the owner before buying them, check its cooling capacity, door shape, inside space of freezer. Choose such type of brand which uses less electricity and produces low heat. Check the capacity of the compressor, because the compressor is a part of the freezer that keeps it cold. Unfortunately, a commercial refrigerator is not sold at regular shops, so the buyer should be careful in buying a commercial freezer from regular shops. The commercial freezer is bought from warehouse shop. 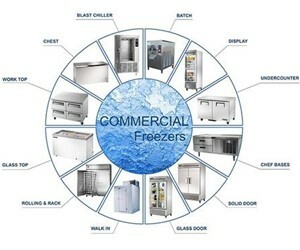 Since Commercial Freezers are vital to businesses in the food industry, it is necessary to understand how to buy them. 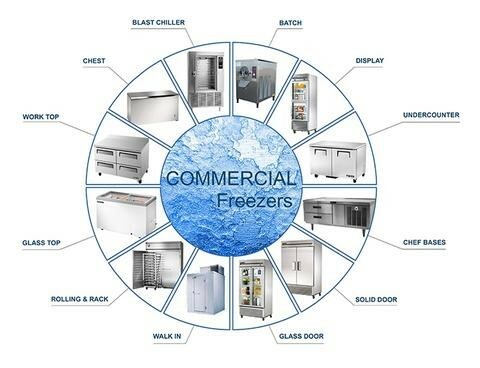 Our guide will assist owners in the selection and purchasing process by discussing Commercial Freezers that are available on the market and what to look for in this type of machines. When it will be time to buy a new Commercial Freezers for your business, you'll be faced with the fact that there are more than a few options out there. It is not easy to choose new restaurant equipment, but we are here to help with that. Commercial chest freezers are needed additions to kitchens that require further storage or outlets trying to supply frozen merchandise like a frozen dessert. These massive freezers are efficient and engineered to last. Undercounter freezers look and perform like upright reach-in units, however, they're usually much shorter–only nearly 33 to 34 inches tall. These units fit in smaller areas within the industrial kitchen and usually store fewer products for use on an as-needed basis. A commercial worktop freezer provides you with a convenient area to prepare food and keep cold ingredients and product close at hand. Select the right worktop freezer for your food shop, sandwich shop, dish stand, or different restaurant application. This model is good for quick-serve restaurants, convenience stores, concession applications and even for storing frozen products like desserts in full-service restaurants. display units show off items to customers. This horizontal display unit is ideal for frozen things that require remaining frozen, like frozen dessert, TV dinners, frozen vegetables and more. Works well with items that are awkward to stock in vertical freezers. Among the foremost helpful and versatile pieces of equipment accessible to professional industrial and commercial kitchens are Chef Bases Freezers for the unbeatable convenience and movability they offer. Most of this freezers feature a slim front-to-back profile that takes up little traffic space once pushed up against the wall. The long low tops have lots of space for small kitchen appliances like food processors and batch freezers moreover as cutting boards for the prep work. Most Chef Bases Freezers boast sturdy stainless-steel construction and rolling caster feet but specifications vary between models and brands. Keep things properly frozen in your restaurant with our solid door standard duty industrial reach-in freezers by brands like Hoshizaki, Traulsen, and Turbo Air. 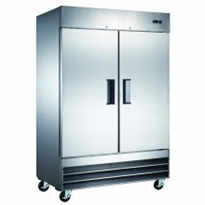 Our restaurant reach-in freezers are sleek in style and fit the rigors of industrial use. 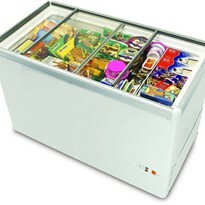 These commercial freezers are a customer favorite for dependability and top notch performance. You can choose between 1, 2 and 3 full-door freezer units and 2, 4 and 6 half-door reach-in freezer units. These models are designed to let customers choose a selection of frozen foods so they can find what they're looking for before they open the doors. Display Freezers provide a convenient shopping experience and a marketing tool that also keeps your foods frozen. They are available in several styles, so you can choose one that is best for your business. 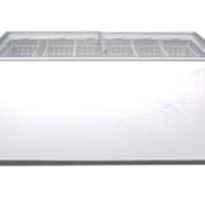 Commercial Glass door freezers are usually found in restaurant kitchens. They are accustomed to keep a range of various foods cold and be simply accessible for chefs. Glass door freezers can even be used to show merchandise like frozen dessert, frozen foods, and more. 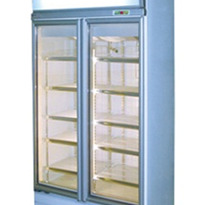 Appliances Connection offers a large choice of commercial glass door freezers. Be Sure to think about the dimensions, and therefore the interior capability before making your purchase. the number of doors typically reflect the glass door reach in freezers dimensions. 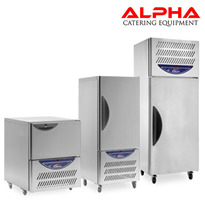 Roll-in & Rack freezers differ from traditional upright freezers. They give you the opportunity to roll entire sheet pan racks into the freezer right away instead of having to rely on shelves. Unlike traditional freezers, they don’t have legs or casters and sit directly on the ground. Roll-in & Rack freezers additionally can have a small ramp for every section to make it easier to wheel the rack into the freezer. As a result, these freezers are an excellent alternative for bakeries, hotels and huge institutions that cook several similar products at once and need to efficiently store them. Protecting your food and your customers is less complicated than ever, due to Blast Chillers. They move your food quickly and safely from serving temperature to storing —from 135ºF to below 41ºF in just about 90 minutes. This helps to keep the freshness of your ingredients and reduce spoilage of your product. However more than that, Blast Chillers may also improve the productivity of your entire kitchen. Commercial Walk-in fridge provides bulk cold storage opportunities at colder temperatures and usually for extended periods of time than those offered by its refrigerated kin. Walk-in freezers are good for operations that receive the maximum amount of many weeks' value of frozen ingredients in single deliveries. In the event that you maintain a providing food or sustenance business, you will comprehend the requirement for a superb business refrigerator. This article shares some exhortation on the most proficient method to pick the best ice chest to address your issues. Business kitchens must meet certain wellbeing and security necessities and laws. These incorporate putting away sustenances at the right temperature. Keeping crude uncooked nourishments far from cooked, arranged sustenances, and guaranteeing there is no cross-defilement. This is not as simple as a few people think. For instance, if your business serves hot and cool sustenance, exquisite and sweet, at that point you will require refrigerators for crude meats, vegetables and after that additionally, you will require chilled cupboards for the readied nourishments. The right tracking and capacity inside a business refrigerator are fundamental to guarantee the different nourishments sorts are kept partitioned and stay commercial display freezers uncontaminated by crude create. Eateries can be closed down if investigators discover crude meat juices are tainting prepared products! What’s more, who might need to eat a cream cake that already had crude hamburger sitting close to it? 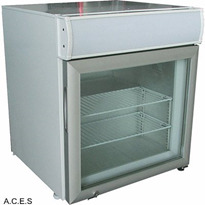 The best business ice chest providers comprehend that a refrigerator or cooler is not simply one more bit of gear. These apparatuses are fundamental parts of conveying great quality, solid nourishment to your clients and they are an essential piece of guaranteeing your business is working legitimately. Business refrigeration is intended to keep sustenances at much lower temperature with the goal that it can keep for more. There are rules for each sort of nourishment, to what extent it can be put away, and the temperature it ought to be put away at. The best providers will have the capacity to prompt you on the models which will suit the sort of sustenance you plan and the measure of creating you have to store. All eateries, bistros, coffeehouses, cafeterias, and eating foundations need the right chilling and refrigeration gear with a specific end goal to keep the sustenance new. Business ice chests are more capable than local apparatuses. They are additionally developed to remain to the rigors of a bustling business kitchen. Consider the space you have in your premises. In the event that space is at a superior, you may need to think of some as re-demonstrating keeping in mind the end goal to have space for the expansive business machines you will require. Consider convenience as well. There is little point arranging an ice chest in a storm cellar or far from a kitchen when it is required always. Similarly, you might have the capacity to store your cooler somewhere else, far from the bustling kitchen floor, since it won’t be required as much amid working hours. The span of your business premises, the number of plates you cover at each sitting and the measure of delivering you have to store and show will all add to your choice about which machines to buy. You can likewise consider strength refrigeration like a multideck show refrigerator, or a chilled patisserie so clients can see the creativity that is available to be purchased. These alternatives can likewise enable spare to space as well since you will be using space in the principal body of your foundation. They are adding an extraordinary approach to give clients a chance to see the merchandise that is available to be purchased. Think deliberately before putting resources into a business ice chest. Check if the machine has a guarantee, discover what cleaning and support it requires, or more all, guarantee you are managing an amazing, respectable provider.